Thank you for visiting Pet Sentiments where our products come from the heart! We are honored to help you create a product unlike any other inspired by the love we have for our pets! 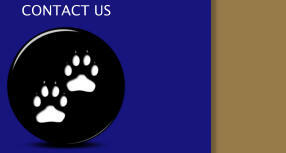 While we specialize in animals, we will gladly produce any picture you would like printed on our available products. Our design specialist will work closely with you at no charge allowing your idea to become a masterpiece guaranteed to your satisfaction! If you have several animals you would like to incorporate into one picture or a subject you would like to feature in a different background, the possibilities are endless! Sublimation is a process of heat infused dyes producing image transfers which will never crack, peel or fade. You will be able to enjoy your commemorative keepsake for many years to come!!! Customized merchandise personalized by your pet! Any questions or comments please email Petsentiments@aol.com or message us on Facebook! Be sure to like and follow us on Facebook to be notified of new products and promotions! Available only in the USA All orders receive free standard shipping! Please allow 7 to 10 days for delivery. Animal organizations, breed clubs and rescues…sign up today for our incentive program. Link Pet Sentiments to your website! For each product ordered with your assigned unique code, your organization will receive money. It’s our “thank you” to the animal community!!!! Email Petsentiments@aol.com to find out more! !